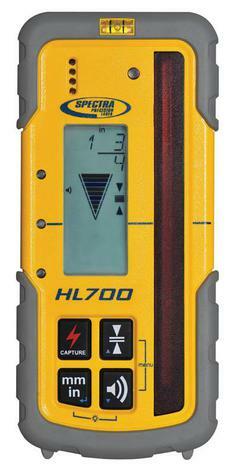 The HL700 is a highly versatile laser receiver for basic and advanced leveling and aligning applications. 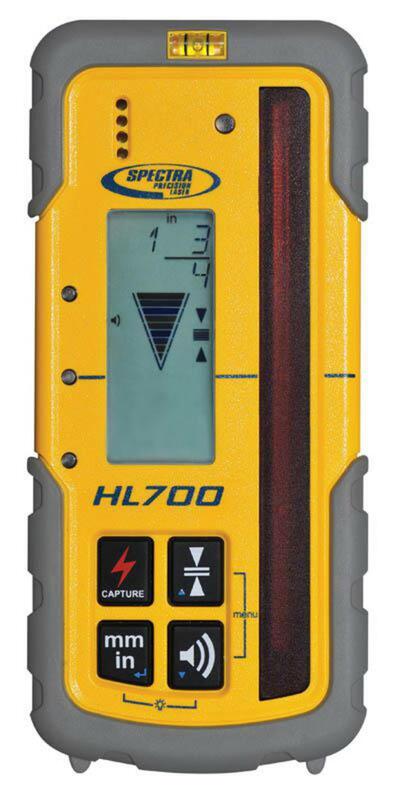 This is an easy to use tool that accurately measures elevations across the jobsite and is ideal for use with any rotating transmitter. This receiver features a digital readout displayed on large front and rear LCD's and shows exactly how far the elevation is from on-grade. Accurate measurements can be made without moving the rod clamp saving you time and increasing productivity. Selectable units of measure can be displayed meeting your application - mm, cm, ft, in or fractional inches. This receiver is totally waterproof and can withstand a drop up to 10 ft. onto concrete.